FRIDAY, July 20, 2018 (HealthDay News) -- Fat-freezing is touted as a noninvasive way to shed "love handles," but it's riskier than previously believed, Florida plastic surgeons warn. After the procedure, about one in 138 patients develops hardened lumps of fat at the treatment site, according to a small, new study. The fat accumulation -- called paradoxical adipose hyperplasia -- then needs invasive liposuction to remove it, the doctors reported. The fat-freezing procedure is known as cryolipolysis (brand name CoolSculpting). "CoolSculpting works, but this rare complication can happen," said lead researcher Dr. Michael Kelly, of Miami Plastic Surgery. "Fortunately, it can be treated." According to Kelly, the number of patients who develop paradoxical adipose hyperplasia is greater than thought. While still under 1 percent, the rate is not one in 4,000 as had been reported, he said. CoolSculpting aims to destroy subcutaneous fat cells by controlled cooling of tissue. It's often used to remove problem areas like belly fat. But for those unlucky patients, the treated area becomes larger rather than smaller in the weeks after the procedure. They're left with a painless but visibly enlarged, firm mass under the skin, the researchers explained. These patients are understandably upset to learn they need liposuction to remove the lump, and that they must live with this disfigurement for a few months before it can be treated, the study authors noted. That waiting period is needed for the fat to soften. Otherwise, it could recur, Kelly said. "Counseling is extremely important during this waiting period," according to the study authors. Also, some patients need more than one liposuction treatment to remove all the fat, and they should be warned of that possibility, the researchers added. For the study, Kelly and his colleagues studied 11 patients with paradoxical adipose hyperplasia. Six had cryolipolysis at the study authors' own clinic, and five were referred from other practices. Seven patients were treated surgically. 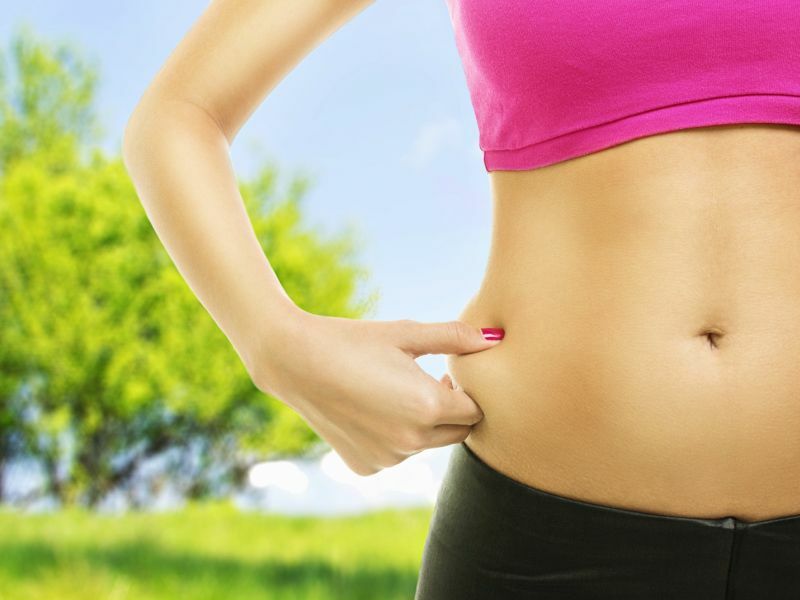 In addition to liposuction, one needed additional surgery called a "tummy tuck." Patients needed continued reassurance that the problem would be solved, the doctors said. Two refused treatment, even though the cost was covered by the manufacturer of the cryolipolysis equipment, according to the report. Kelly's team said that over three years, 15 hyperplasia events occurred in six patients out of 2,073 treatment cycles. That, they said, represents an incidence of 0.72 percent, or one out of 138 patients. Dr. Jeffrey Salomon, an assistant professor of plastic surgery at Yale University School of Medicine in New Haven, Conn., explained why this side effect occurs. "Noninvasive treatment of fat can be done with heat, ultrasound waves or by cold," he said. Manufacturers of these devices tout their benefits -- noninvasive, no dressings, no downtime, great results, he added. "The fact is, these devices are all based on damaging the targeted tissue," Salomon said. The tissue damage has to be sufficiently strong to destroy fat cells without damaging nearby fat, skin or muscle tissue, he noted. But when any tissue in the body is damaged, including fat, the body sends inflammatory cells to the rescue. "In the case of CoolSculpting, the fat cells are damaged beyond repair by the freezing process, and then the inflammatory cells clean out the remnants of those destroyed fat cells," he said. But in less than 1 percent of cases, there appears to be a response from fat cells that were not damaged beyond repair, according to Salomon. "There appears to be a potential for those partially injured but not destroyed fat cells to excessively enlarge, which is called hyperplasia," he said. Patients need to understand that virtually any medical device that damages tissue has risks. "The good news is that 99 percent of the time it does not happen," he added. The report was published in the July issue of Plastic and Reconstructive Surgery. CoolSculpting did not respond to HealthDay's request for comment on the study.